You love your parents (and hopefully your in-laws) and they love you right back. So planning a wedding should be a breeze, right? Sadly, that’s not always the case. 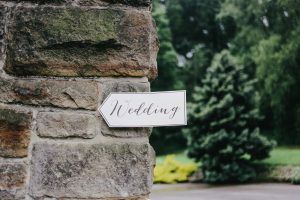 When it comes to weddings, everyone has an opinion about the shoulds and the shouldn’ts, whether you’re talking about the color dress you wear or deciding who will walk you down the aisle. Throw in a financial commitment and your parents might just feel entitled to hijack the entire wedding planning process. While it might seem like a daunting task, here are seven tips for effectively managing those wonderful-but-sometime-overbearing parents and in-laws. 1 Assert yourself as a grown-up. Demonstrating that you are a competent adult will do wonders for winning over your parents trust. You’ll need to gently but firmly establish yourself as a reliable and reasonable person. Your parents may feel the need to step in to prevent problems from arising (they’ve done that your whole life, after all!) so show them that you’ve got this wedding thing down, and they’ll most likely ease up and let you do your thing. 2 Be firm in your vision. When it comes to planning a wedding, there’s nothing more important than communicating clearly. If you have a strong opinion about the cake flavor, make it known. If you don’t care about the napkin colors, and you’d like some input, open up the conversation. And when you’re unsure what you want, be careful about mulling things over in the presence of your parents — they may see that as an open invitation to insert their ideas. Manage the discussion so that you aren’t inundated with unsolicited advice. 3 But leave room for their ideas. Repeat after us: Just because you know what you want doesn’t mean everything your parents suggest is a bad idea. They may see ideas you miss (like painting those Mason jars) or may have creative solutions for those pesky planning problems (hey there, seating chart. Sometimes it’s helpful to take your mom’s idea to a friend you truly trust before shooting it down completely. They may be able to play devil’s advocate with you, or maybe they’ve been at a wedding where they had a unity candle lighting and can convince you it’s not such a bad idea. When you hear it from a friend rather than your mom, you might be more willing to consider the suggestion. 4 Give them a project. The easiest way to manage your need-to-be-involved parents? Put them in charge of a task or two that you know they love doing (and you don’t mind relinquishing control over). If your future mother-in-law is obsessed with all things flowers, invite her to come with you to meet with florists. Her knowledge might actually make the vetting process easier. Does your dad love music? Ask him to help you create the playlist. Giving each of the parents an area of the wedding to focus on will help them feel included, wanted, and needed — which is likely all they really want anyways. 5 Keep wedding talk to a minimum. If you don’t want to hear what your parents have to say, don’t open up the floor. Sure, we get that the big day is on your mind at all times (and often on the tip of your tongue, too), but if you’re constantly talking about flower problems, menu woes, and stationery headaches, your parents might feel like they can too. So watch what you say if you want to control the conversation. One of the perks of siblings, besties, and amazing aunts? They’ve got your back no matter what. So if your mom gets too emotional whenever you talk about your dad walking you down the aisle, or your future father-in-law interjects his opinion at really inopportune moments, ask someone else to step in that understands what you’re up against. Sometimes a third party that’s somewhat removed from all of the emotions of the day, can better manage the situation. Try to remember that your parents and future in-laws are not out to get you. Their overbearing tendencies actually comes from a place of love (no, really, we promise). Oftentimes, helping plan a wedding is one of the last big parenting roles that moms and dads provide. And, as a result, some parents overstep boundaries and take everything just a little too far. So understand the impact the wedding has on your parents emotions and know that they have your best interest at heart. Because at the end of the day, they just want you to have the best.day.ever. 8 Put up or shut up. If you want to have complete control over all of your wedding day details, you might want to forego the parental funding. While some parents may be more than happy to foot the bill AND let you make all the decisions, most aren’t that relaxed about money matters; if their money is on the table, they’ll most likely want to know where it’s being spent. So consider paying for your big day yourself if you want the final say. Otherwise, be willing to hear your parents out. Do you have wonderful-but-often-overbearing parents, Loverlies? How are you managing them throughout the planning process? Let us know in the comments or by sending us an email at thescoop@lover.ly!